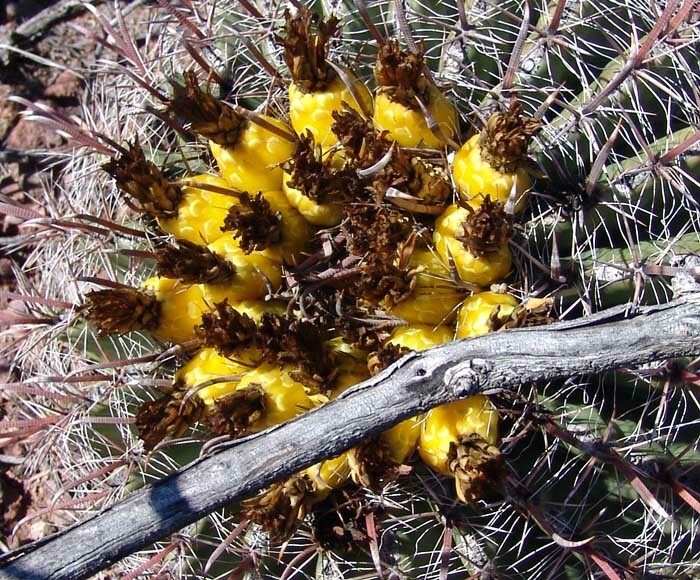 This barrel cactus is widely distributed, both in the Chihuahuan and Sonoran Deserts, from Pima County in the north to Sinaloa, but its greatest concentrations are in our region (hence one popular name is "Arizona Barrel"), where it's found to 4,500' elevation. 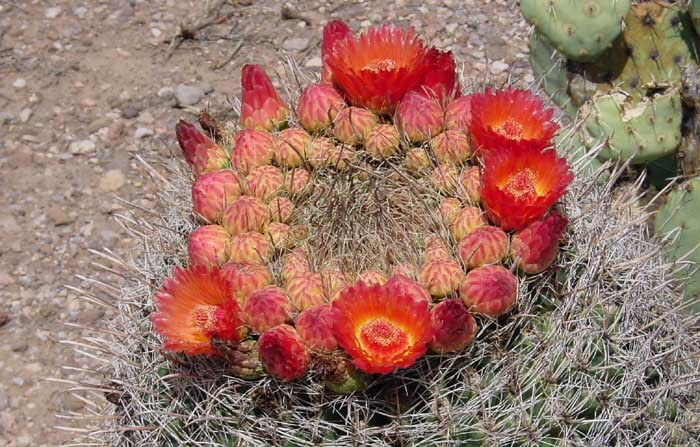 (They appear to be especially numerous in our Northeast corner, where the elevation is around 4,000'.) The Fishhook Barrel begins life in an almost spherical shape (for example, below left), becoming more columnar with age (below right), and tending to lean toward the southwest side because of faster growth on the shady side. 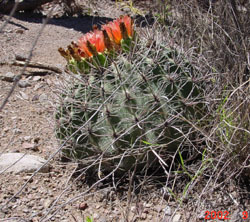 Its massive stem (with 20-28 ribs) is often somewhat obscured by its spines. 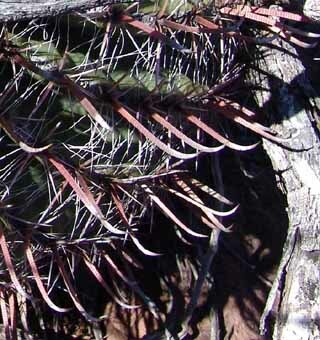 Central spines are often red, shading to gray, and the radial spines are bristlelike and gray. 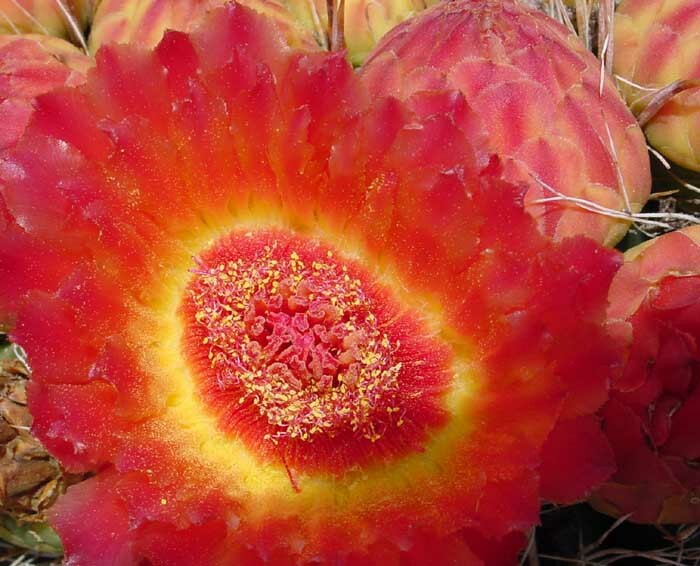 Flowers bloom by day, colors are highly variable, ranging from yellow to red. They produce yellow, barrel-shaped, scaly fruit, which lasts all year and is eaten by deer and rodents (and see also below). 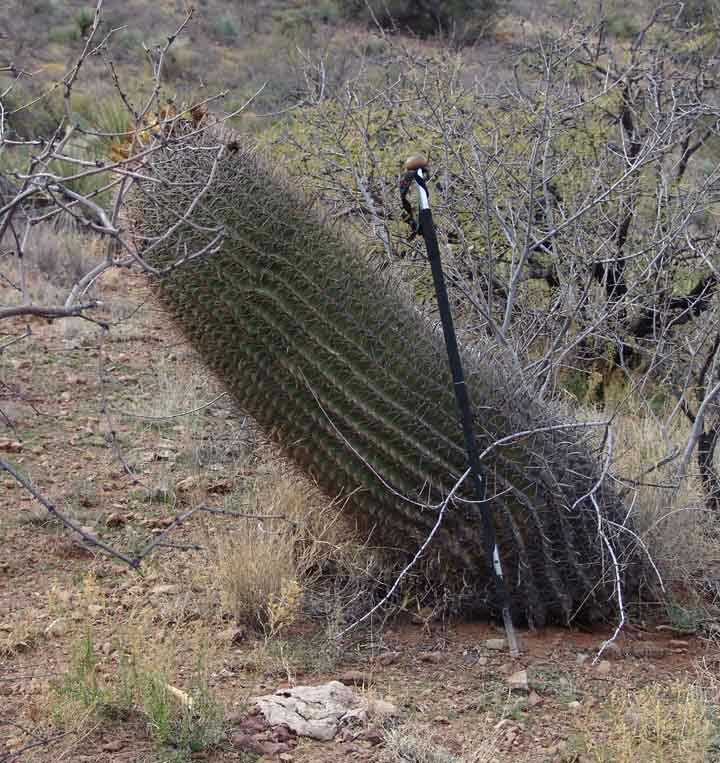 Slow-growing, large plants may be over 100 years old (but may topple after heavy rains due to the leaning described above). 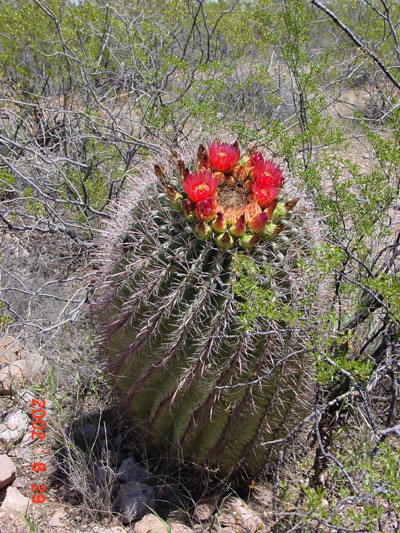 Below, a large old barrel shows the typical tilt of older plants (toward the south), which eventually leads to the plant's collapse and demise. 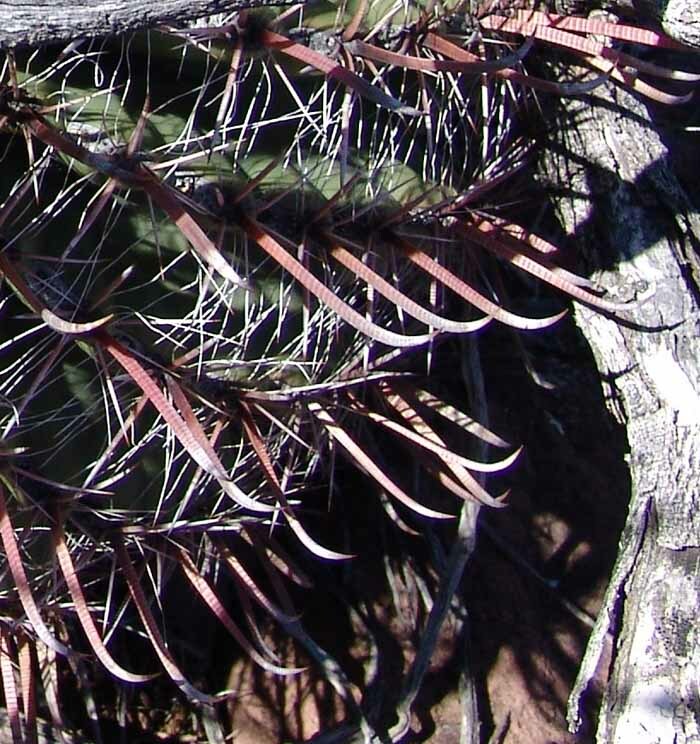 Since the walking stick shown here is 3 feet long, this barrel (photographed en route to the Upper Cottonwood Seeps Wash in January 2005) is more than 4 feet in overall length.